Though many people pay a lot of attention to their teeth, making sure that they are bright and straight, they may forget about the most important aspect of having a healthy smile. Your gums are essential to a healthy smile, and if they are compromised in any way, the results are never positive. Gum disease, also known as periodontal disease, affects approximately 80 percent of Americans, and many of them do not even know. Fortunately, our doctors are able to treat your gum disease with gum disease therapy at their Massapequa Park, NY dental office. If left to its own devices, gum disease has the potential to cause many negative oral and bodily ailments, such as heart disease, stroke, dementia, Alzheimer’s disease, tooth loss, bone loss, and much more. It is very important to make sure you tackle your gum disease in the early stages, as it is able to be reversed. A few signs of gum disease include red and swollen gums, gums that are sensitive to the touch, and gums that bleed when you brush or floss. 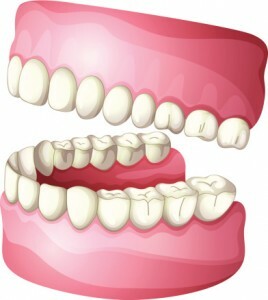 One of the ways we are able to treat your gum disease is by scaling and root planing. This allows for us to remove the harmful bacterium from below the gum line, making sure your smile is restored to a healthy state. This also lets us smooth out the rough areas on your tooth’s root. We will also be able to give you instructions and advice that you can put into practice at home, ensuring your gums are as healthy as possible. If you are suffering from gum disease and would like the help of our doctors, contact our office, and we would love to help!